Firms of all sizes are being encouraged to export their goods and services. If you’re new to the global marketplace or your firm is expanding into new markets, then it’s time to establish best practices in your organization. The buyer, bank, forwarder and other parties to the transaction are validated against the restricted party lists. Orders are held for further research if any party matches a name or address on the lists. Product is reviewed against the Commerce Control List (CCL), U.S. Munitions List (USML), and the U.S. Nuclear Regulatory Commission’s list of commodities. A database is created identifying the products as controlled items potentially requiring an export license. The country where goods are destined or where parties to the transaction are located is compared against embargoed and trade sanctioned country lists. If there is a match, the order is held pending review for an export license by the management team. Contracts, purchase orders, and other correspondence with the customer are reviewed for potential boycott language. If boycott language is found, the order is held pending resolution and filing of a report with the Bureau of Industry and Security (BIS). If you read the last item and said, “Oops; I’ve never heard of this one,” read on. How do we apply this concept at our company? What are the business impacts? A deemed export occurs when technology or source code (except encryption and object source code, which is separately addressed in the EAR under 734.2(b)(9)), is released to a foreign national within the United States. A deemed re-export occurs when controlled technology or source code is released to a foreign national in a third country whether by a U.S. person or a foreign person, §734.2(b)(5). A foreign national is someone who is not a U.S. citizen, not a permanent resident, or in the U.S. under specific refugee status. In a sense, the foreign person is considered to be the embodiment of his or her country of citizenship. The essence of the deemed export rule is that providing technology to a foreign person is the same as exporting it to that person’s country of citizenship regardless of where the parties are located when the technology is provided. For example, providing a French citizen in Chicago with controlled technology is considered to be an export of that technology to France. Controlled for export to a particular country foreign country, as indicated by inclusion on the CCL. Dual use, having both civil and military applications. Foreign technology commingled within the U.S. with U.S.-origin technology. 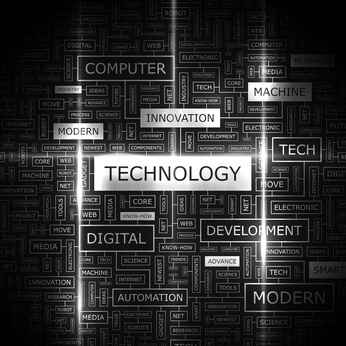 Technology is released for export when it is made available to foreign nationals for visual inspection in such forms as technical specifications, plans, blueprints, etc., through electronic media or even by simple visual inspection; when technology is exchanged orally; or when technology is made available by practice or application under the guidance of persons with knowledge of the technology. Assuming a license is required because the technology is identified on the CCL (i.e., does not qualify for treatment under EAR99, see Part 732.3(b)(3)) and is controlled to a particular destination, a deemed export may be authorized under a license exception. If no license exception is available, a license will be required. Transfer of the same technology to the foreign national's home country would require an export license. Is granted status as a protected person under 8 U.S.C. 1324b(a)(3). Protected persons include political refugees and political asylum holders. Be aware that individuals seeking protected person status must satisfy all of the terms and conditions that are fully set forth in 8 U.S.C. 1324b(a)(3). In situations involving individuals who are citizens of more than one foreign country or have citizenship in one foreign country and permanent residence in another, BIS will determine which of them provides the stronger tie based on the facts of the specific case. EAR99 technology would not require an export license. Other technologies that do not require an export license are those that are publicly available. These include patent applications, publicly available technology and software (other than software and technology controlled as encryption items) that are already published or will be published, technology that arises during or as a result of fundamental research, or technology that is educational. What Is the Impact on Your Business? Technologies developed in a foreign facility commingled with or drawn from controlled U.S. origin technology may require a license if the technologies are considered to be of U.S. origin and trigger the Deemed Export Rule. You may need an export license for foreign national researchers, engineers, technicians and visitors to your facilities who will have access to items including, but not limited to, drawings, technology and source code. If your firm is considering outsourcing production lines, it is critical to compliance that the production technology that will be sent to the foreign country is not controlled on the Commerce Control List or by any other government entity. If, in fact, that production technology is controlled, then ensure that the foreign national has an export license prior to access to blueprints, drawings and other technical information for evaluation. Let’s revisit the checklist. You can now successfully check off the last item! Product is reviewed against the CCL, USML, and the U.S. Nuclear Regulatory Commission's list of commodities. A database is created identifying the products as controlled items potentially requiring an export license. Contracts, purchase orders, and other correspondence with the customer are reviewed for potential boycott language. If boycott language is found, the order is held pending resolution and filing of a report with the BIS. Sharing technology, reviewing blueprints, tours of facilities, and other disclosures of information are considered potential exports under the Deemed Export Rule and handled accordingly. Editing contributions by George Thompson of Thomson & Associates, PLLC. This article was first published in December 2005 and has been updated to include current information, links and formatting.